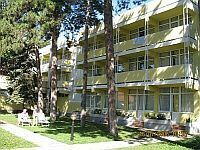 The 3-star Hotel Nostra is situated in the resort area of Siofok, only 100 metres far from the beach and also the city centre can be easily reached from the hotel. The resort hotel offers 41 double rooms, 5 apartments, a restaurant, own garden and leisure time activities for the guests, table tennis, badminton, and softball are available free of charge. The new hotel-quality hospital wing of Zsigmondy Vilmos Harkany Rehabilitation Centre offers 45 comfortable, air conditioned double rooms. On the first floor can be found the medical rooms and on the second floor the gymnastic rooms where guests can take part in medical gymnastics, in individual and group exercises. The third floor is the location of the treatments for psoriasis. The restaurant for 100 persons can be found on the ground floor. Thermal Hotel Balance**** is located in Lenti. Thanks to its favorable geographical location, close to the border, the hotel can be easily reached from Slovenia and Croatia. The wellness hotel is directly connected to Lenti Thermal Spa and St. Georg Energy Park, the hotel provides free access to the thermal spa. Hotel Central is located in the centre of Nagykanizsa, in the main square of the city. Hotel Central, thanks to its wide range of services and excellent kitchen, is an ideal starting point not only for tourists but also for business travelers. 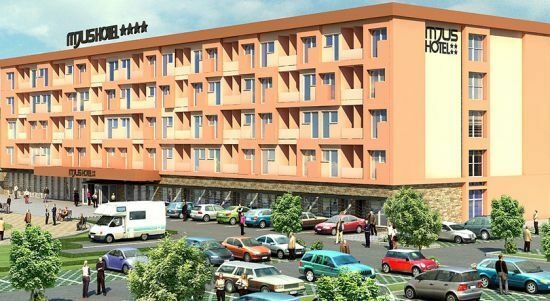 The 3-star hotel offers non smoking rooms, WiFi internet access, a restaurant and excellent parking facilities. The new wellness hotel, MJUS World Resort Thermal Park welcomes its visitors in Körmend with special wellness packages. MJUS World Hotel is connected to the Thermal Park where wellness area and numerous exclusive spa and wellness services are available. The Rózsa Porta Üdülőház located 120 meters next to the Lake Balaton. Near the Rózsa porta there is a free beach. The Apartment is furnished with retro Lake Balaton Summer furniture. 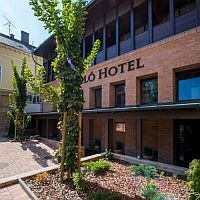 Hotel Árpád, a 3-star hotel on the main square of Tatabánya, awaits its guests with air conditioned rooms, a restaurant, a fitness room and more meeting rooms. Near the hotel there are many attractions: Turul monument, Szelim cave, the village of Vértesszőlős with the remains of the prehistoric man, etc. The Gyémánt Spa of Tatabánya is located only few minutes from the hotel. The Hétkúti Wellness Hotel is in Mór located between the Vértes and the Bakony mountains. The Hétkúti Wellness Hotel is located next to 81 main road near Budapest. The Wellness Hotel's building looks like a country house. The hotel is furnished with country style furniture’s. As the hotel there is near Budapest perfect for corporate events and weddings. The Inn to the Old Wine Press has got country house character. 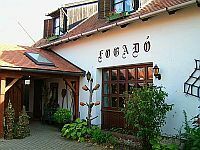 Our country house like inn is situated in the town of Mor, Hungary. Budapest is 90 km away near the main road 81. Inn to the Old Wine Press there is an authentic country house. The history of this little street dates back to 300 years. Real entertainment youth and seniors. There's an opportunity for use the Hetkuti Wellness Hotel's wellness area. Hotel Makár Sport and Wellness Hotel is located in Pecs, at the foot of Makar Mountain, in the green zone of the city, in the area of the former Bishop's winery, near the University of Pecs. The wellness hotel offers three- and four-star category rooms equally. The modern, air-conditioned restaurant of Hotel Makar serves local specialities and healthy wellness food. The four-star Hotel Vinum, renovated in 2014, is located in Kiskoros, in the heart of the Great Plain. The familiar atmosphere wellness hotel awaits ist guests with air conditioned rooms, a Mediterranean atmosphere wellness area and an excellent restaurant. The free internet access is available in all areas of the hotel. The surrounding of Hotel Vinum offers many kinds of leisure time activities, the hotel guests can also enjoy the own small fishing lake of the hotel. The three-star Balaton Hotel Siófok is located directly on the shore of Lake Balaton, on the most elite part of Siófok, on the Petőfi walkway. Balaton Hotel Siófok went through a full renovation to provide higher quality services to the guests. Air conditioned rooms, WiFi internet access and heated outdoor pool await the guests. The four-star Hotel Yacht Wellness and Business Siofok is situated directly on the shore, in the yacht marina of Siofok. The wellness hotel, open all year round, has a 1000 sqm. panoramic featured spa and 70 modern-style, air-conditioned rooms. The hotel's panoramic conference rooms are perfect venues of corporate events, weddings and family gatherings. Komló Hotel, the first four-star hotel in the city center of Gyula awaits it's guests with an exclusive culinary experience combined with nostalgic flair and quality services in a contemporary renovated Art Nouveau building. The hotel has a wellness area with jacuzzi and Finnish sauna. The hotel is the ideal venue of both business meetings and family gatherings. 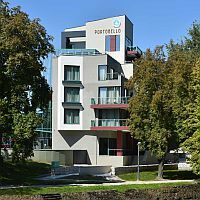 The three-star Fûzfa Hotel and Leisure Park Poroszló can be found at Lake Tisza, only 30 meters from the shoreline, in an easy walking distance. Fûzfa Hotel *** offers 24 air-conditioned rooms, 6 six-person chalets, a wellness area and several free time programmes. The hotel's restaurant and the conference room are perfect venues of corporate and family events. Borostyán Med-Hotel is located 20 km from Debrecen in Nyíradony-Tamásipuszta. In the four-storey hotel air conditioned rooms, a wellness center with thermal pool, a Health center and an adventure park await the guests, so Borostyán Med Hotel is an ideal choice not only for families, but also for those who wish to relax and recover. The conference rooms of the hotel provide the ideal place for conferences and corporate events as well as weddings and family gatherings. 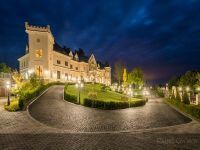 Borostyán Med-Hotel **** in Nyíradony awaits its guests with special discount packages including full board service. Hotel Garzon Plaza is located in Győr, near the Pláza and the Győri hospital, not more than 2 kilometers from the city center. The four-star hotel’s wellness area is an ideal place for the people that are seeking relaxation. The hotel’s modern conference rooms provide an ideal spot for corporate conferences and meetings. The hotel’s parking space is protected with crossing gates and is monitored by cameras. Plaza Hotel Gyor is situated near the Plaza shopping center and the hospital of Gyor, only 2 km away from the city center. The four-star hotel's wellness area is ideal for relaxation. The hotel's modern conference rooms provide the ideal venue for corporate events and conferences. The hotel is protected by a barrier and camera-monitored parking is provided for guests.